A teenager is finally getting medical help after living her entire life with two extra arms and fingers dangling from her chest. 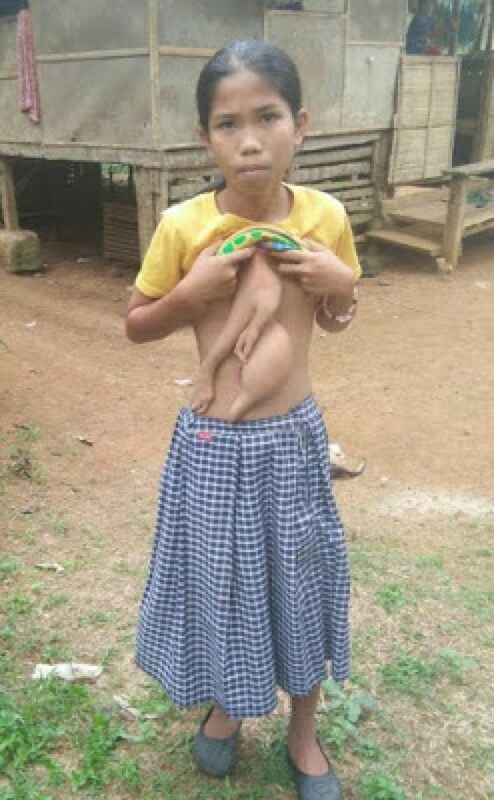 Veronica Cominguez, 14, was born with the limbs and an oblong-shaped torso growing from her chest in Iligan City, Philippines. The extra parts – belonging to a parasitic twin which did not develop properly – have continued to grow with her. She even cleans her living ”twin” and cuts their finger nails for them. But Veronica is now finally set to live a normal life after locals raised money and officials organised for her to fly to neighbouring Thailand for an operation. Unfortunately, the other baby did not fully develop. Flora said that Veronica’s navel would always get wet because of the liquid that comes out of it. Sometimes, the discharge has blood on it. According to Veronica’s doctor, the extra limbs can be removed through a simple operation. Veronica is now waiting to have her ”twin” who has become a parasite, removed as soon as possible. 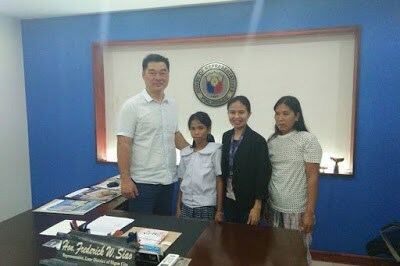 The local government office in her village, which has her under its welfare care system, said she is due to fly to Thailand in the coming weeks for the procedure. A spokesman from the BaranG.ay council of Kabacsanan said last Friday (27/07): ”It has been arranged for Veronica to have an operation. and we hope that she will live a normal, healthy life after this. 0 Response to "14-Year Old Girl Grows ‘Twin Sister’ On Her Chest (See Shocking Photos)"